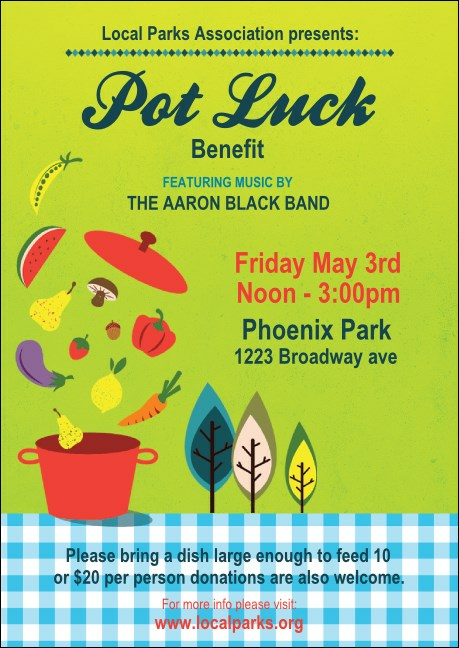 Celebrate all that your community can do when you work together with the Potluck Benefit Club Flyer. This bright template features a picnic table with a blue gingham cloth, pretty leaves, and a pot bursting with fruits and veggies. Bring your neighbors together with this fun design! Draw a crowd to your events with the right club flyer from TicketPrinting.com.